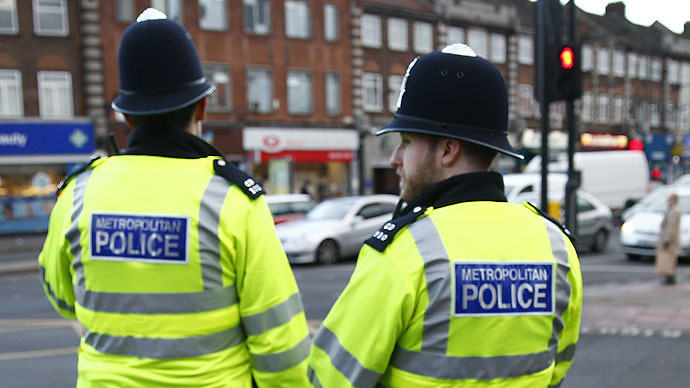 The government’s scheme to clamp down on extremist activity has been branded “toxic” by a Muslim and former senior policeman, who said officers in the program lacked basic awareness of race and faith issues. He also said most Muslims saw the program as a means of spying. “Prevent” was established as part of the UK’s post 9/11 anti-terror strategy and receives a £40 million budget annually. It is one of the strands of “Contest,” the four-pronged government counter-terror program. The Home Office defended the program, saying 130,000 had been trained to identify and prevent extremism, with Prevent programs in place within key sectors including local government, health, education, prisons, immigration and charities. But speaking to the BBC, Babu said there was a severe lack of knowledge and understanding among trained officers, citing one team member who was not aware of the difference between Sunni and Shia Muslims. “This lack of knowledge is amplified considerably with the more junior officers who perform the role of implementing the Prevent strategy,” he said. “Sadly, Prevent has become a toxic brand and most Muslims are suspicious of what Prevent is doing. “This is unfortunate but a reality and the government needs to develop a coordinated strategy to safeguard vulnerable children who are being groomed by IS [the so-called Islamic State]. “We may need to look at identifying appropriate language to safeguard our children and avoid using a strategy which many Muslims see as being discredited,” he said. Babu helped found the National Association of Muslim Police during his 30-year career, which saw him become one of the most senior Asian officers in the UK. One senior counter-terror officer, Sir Peter Fahy, defended the program, saying although it had suffered a troubled beginning it had proved successful overall. “What you’ve got to do is make sure this is about safeguarding more in general,” he said. “There is a danger in saying this is just about the Muslim community because I think all parents agonize about how you get the right balance between allowing your children some freedom and trying to protect them, particularly when you’ve got all this material on social media,” he added. Babu’s remarks come as a new government anti-extremist strategy was leaked on Sunday. The latest plans will ban thousands of Britons from traveling to conflict zones, target Sharia courts, and make it harder to obtain citizenship. “We need to stand up and be more assertive in promoting our values and challenging the extremists who fundamentally oppose them,” says the text of the leaked Home Office-authored draft document, quoted in the Telegraph. The strategy is expected to be made public in the coming weeks, and will come into effect as soon as it is passed by government.